Volunteer with the BCC and FRCS! 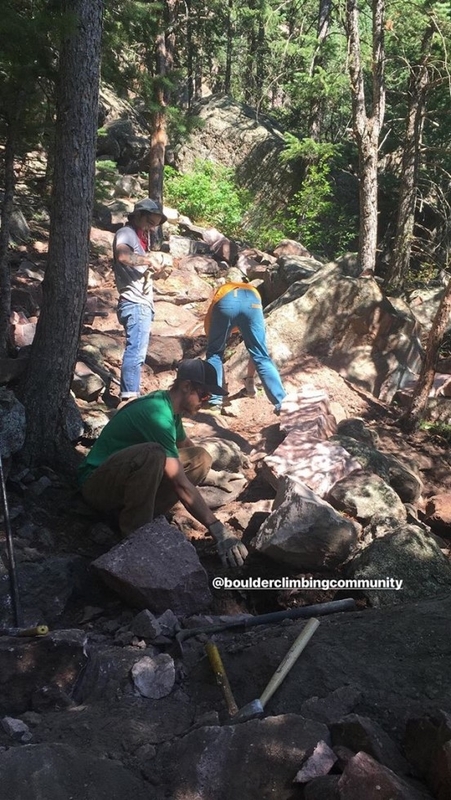 Boulder Climbing Community (BCC) is a non-profit organization whose mission is to mobilize the climbing community to care for the environments we impact as climbers by connecting climbers, outdoor organizations, land managers, and local businesses. 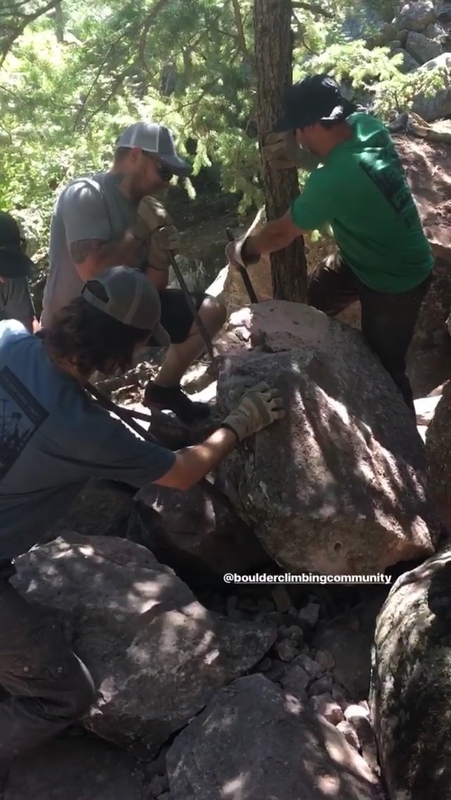 WildyX Team Members recently had the opportunity to volunteer with the BCC by doing trail work on the 3rd Flatiron Trail in Chautauqua Park, Boulder. In an attempt to beat the heat, the crew started the hike up to the site around 7am. Our leaders for the day were members of the Front Range Climbing Stewards, which is a part of the BCC. After the half hour approach to a shady area just below the site, team leader Ryan explained the day’s tasks; half of our team would be doing preliminary trail building by moving large boulders and dirt, and the other half of our team was tasked with fine-tuning the sides of the path to help prevent erosion. Trail work is extremely hard and dirty. It takes a well thought out plan for breaking up and moving big boulders and predicting potential erosion patterns. Not only does it take effort to build a new trail, it takes effort to maintain that trail. This is especially true in our popular Front Range climbing areas, which tend to need more frequent care! Have you been wanting to give back, but don’t know where to start? Boulder Climbing Community and Front Range Climbing Stewards make it easy for you to get involved. With an easy to navigate website, you can sign up for a volunteer spot. If you’re a seasoned trail volunteer or this is your first time (like it was for some of our team members), everyone is welcoming and knowledgeable. Team members will help you find tasks to do that are within your physical ability. Give back to your climbing community by volunteering with the BCC and FRCS! 13th Annual Spring Gear Swap and Sale!